Unlike other software categories such as Marketing Automation (HubSpot) or CRM (Salesforce), we have yet to see a clear LMS market leader emerge. The market is highly fragmented, which makes it particularly difficult for you (the buyer), to understand what the “best” options out there are. That’s why we decided to assemble this comprehensive guide. 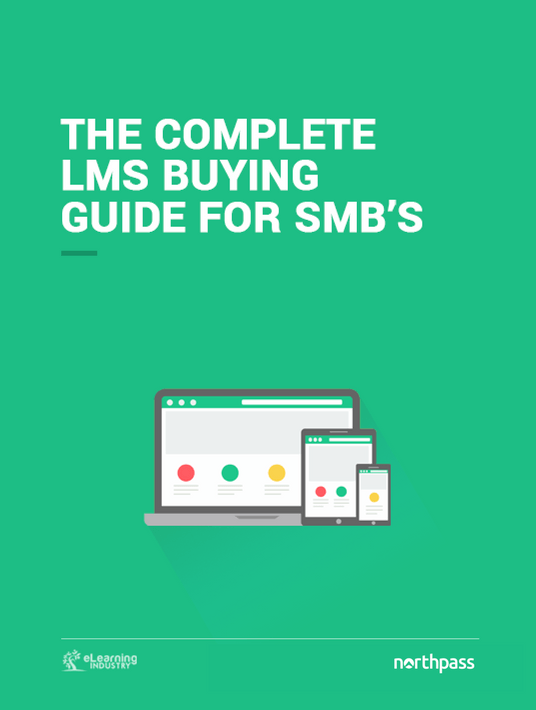 Whether you’re seeking your organization’s first ever LMS or you’ve been wondering lately if there’s a better, more modern solution out there, this guide will walk you through everything you need to know to become a savvy LMS buyer. Before connecting with vendors, you need to ask yourself a number of important questions. Knowing where you stand on each of these will improve the discovery conversations you have with each vendor and also make the selection process smoother overall. So how do you compare each LMS to find the one that suits your specific organizational needs? The first step is understanding the options among broad categories or types of elearning software. Once you decipher the different types, you can judge which LMS fits best with your organization. Today’s learning management systems showcase a dizzying number of features, so when you put together your list of LMS requirements, it can be daunting to find just the right feature set without overpaying for what you don’t need. It can also be easy to think you must have all the features out there. You don’t. Today’s elearning takes place on several devices: a desktop, tablet or smartphone, and sometimes all three. To optimize the learning experience, the content must adapt to any device. When LMS pricing models and features packages aren’t standardized between different learning management systems, comparing just how much you’ll be spending with each can be tricky. Now that you’re equipped with the knowledge to get started, we recommend utilizing an LMS Request for Proposals (RFP) to engage potential LMS vendors. Our team recently created an LMS RFP Template available for download. It explains the relevant operational, application, and architectural requirements of the system for the vendor/s. True LMS success metrics calculate much more than how many learners have completed the LMS program or their scores. The most important LMS metric evaluates whether the program has impacted a defined business goal.